The word “Episcopal” refers to government by bishops (from the Greek “episcopoi” meaning “bishops”). The historic episcopate continues the work of the first apostles in the Church, guarding the faith, unity and discipline of the Church, and ordaining women and men to continue Christ’s ministry. An Episcopalian is a person who belongs to The Episcopal Church, a branch of the worldwide Anglican Communion. The Holy Scriptures of the Old and New Testament are the revealed Word of God “containing all things necessary to salvation,” and as being the rule and ultimate standard of faith. 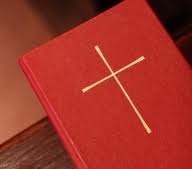 The Apostles’ Creed is the Baptismal Symbol; and the Nicene Creed, is the sufficient statement of the Christian faith. These Creeds were adopted by the Church in the fourth century. The Apostles’ being said at Baptisms and at Morning Prayer and Evening Prayer. The Nicene Creed is said every Sunday at celebrations of the Holy Eucharist in Episcopal and Anglican churches around the United States and world. There are two Sacraments ordained by Christ Himself—Baptism and the Supper of the Lord ministered with unfailing use of Christ’s words of Institution, and of the elements ordained by Him. In Baptism (with water in the name of the Holy Trinity), we renounce Satan, repent of our sins, and adopt Jesus as our Lord and Savior. In the Holy Eucharist (with Bread and Wine), the center of our worship life, we remember and participate in the life, death and resurrection of Jesus Christ until his coming again.The basis of ordained ministry is the Historic Episcopate (with bishops, priests and deacons), locally adapted in the methods of its administration to the varying needs of the nations and peoples called of God into the Unity of His Church. For further exploration of the teaching of the Episcopal Church can be found in the Churchʻs Catechism. Here the teachings and beliefs of the Episcopal Church are articulated in this "Outline of the Faith." It is designed in a question and answer format. How does the Episcopal Church differ from other denominations? Historically, bishops oversee the Church in particular geographic areas, known as dioceses. In the worldwide Anglican Communion, the Archbishop of Canterbury, who oversees the Diocese of Canterbury, occupies a special position by virtue of history and tradition but he does not hold a governing position. We are a confederation of equals. Bishops from the Anglican Communion meet every 10 years for the Lambeth Conference, at the invitation of the Archbishop of Canterbury, but the resolutions coming from that Conference do not hold authority over all members of the Communion. Collegiality among bishops is the substitute for authority, and communal discernment is the substitute for decision-making power. Each bishop and diocese, operating through an annual convention (sometimes called a synod or council), determine the character of life and work in that diocese within a set of general decisions made by a triennial General Convention of The Episcopal Church as a whole. These decisions are formalized as canons—rules that govern—by The Episcopal Church and subsequently by each affected diocese. Each diocese elects and sends clergy and lay representatives—deputies—to the General Convention. The annual Convention of the Diocese of Hawaiʻi usually takes place each October. 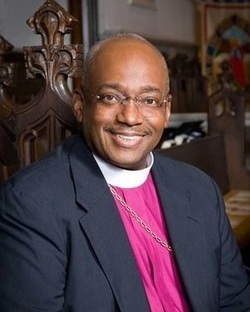 The Episcopal Church celebrates diversity. We are young and old, male and female, gay and straight, single, married, divorced and widowed, Anglo, African American, Latino, African, Asian, CEO and unemployed, student and teacher, rich and poor. We worship together, study and ask questions as we move more deeply into the mystery of God. We honor tradition and strive to live by the example of Jesus Christ, welcoming the stranger and the outcast, helping our neighbors and offering love and forgiveness. We want our communities to be better because The Episcopal Church is here. We are known for our engaging and beautiful worship services. For those who have grown up Roman Catholic, the service, known as the Mass, Eucharist or Holy Communion, will be very familiar. For those of reformed tradition or no religious tradition at all, we think you may find a spiritual home in a church that respects its tradition and maintains its sense of awe and wonder at the power and mystery of God. Some services are more contemporary, some more traditional but all follow the same form found in the Book of Common Prayer. There are no prerequisites in the Episcopal Church … Everyone is welcome. We walk the "middle way" between Protestant and catholic traditions. We often talk about the Episcopal Church as following the “via media” or middle way in our theology and discussions because we believe that, whether or not we agree on a particular topic, we all are children beloved by God and we can have thoughtful and respectful discussions. The founding fathers of the Episcopal Church were also the founding fathers of our country, and the shield's red, white, and blue colors and layout are similar to that of the American flag. Red represents the blood Christ shed for us; white symbolizes purity, and blue is the traditional color of the Virgin Mary. The large red cross that divides the shield is a cross of St. George, the cross of the Church of England, that represents our ties to the mother church. The nine small crosses in the upper left quadrant represents the nine dioceses that founded the Episcopal Church in 1789, and are arranged in a St. Andrew's cross, the cross of the Church of Scotland. When no Anglican bishop would ordain a bishop for the new church in America, bishops of the Church of Scotland agreed to lay hands on Samuel Seabury, ordaining him the first bishop of the Episcopal Church. This cross honors the role that the Church of Scotland played in the birth of our church.